The Power Chord skin has appeared in the Fortnite item shop after a little Tweet went out from the official Fortnite account teasing its arrival. Players who have long been awaiting its return can pick it up, bundled with the Six String back bling, for a decent amount of V-Bucks – but these aren’t the only cosmetics to make an appearance. As part of the Volume 11 set, players can also get their hands on the Anarchy Axe pickaxe skin, Stage Dive glider, and Rock Out emote. These items haven’t been available since around March of this year, making them some of the rarest cosmetic goodies in the game. 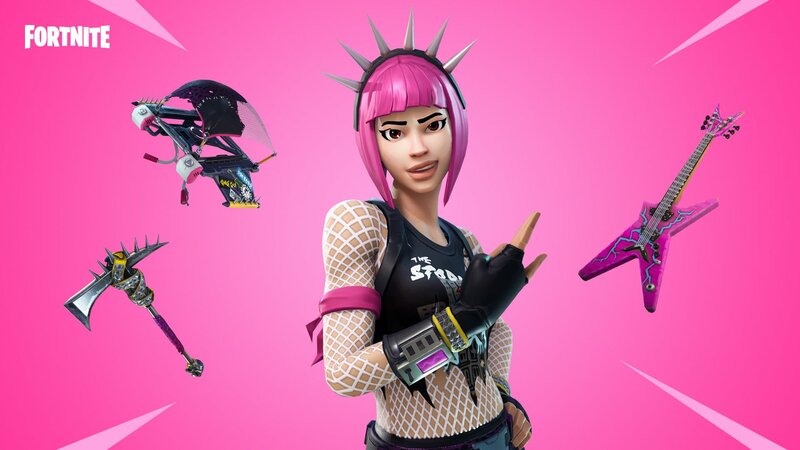 There’s no telling how long the Power Chord skin and Rock Out emote will be around for, so anyone thinking about purchasing them should probably get in quick. Players who want to get the complete Volume 11 set will be looking to shell out 4,400 V-Bucks, the equivalent of $40-$50 USD. It’s certainly not cheap, but that’s the price you have to pay if you want to get your hands on such limited edition apparel. Now, shall we all meet around the purple cube for a rock concert?